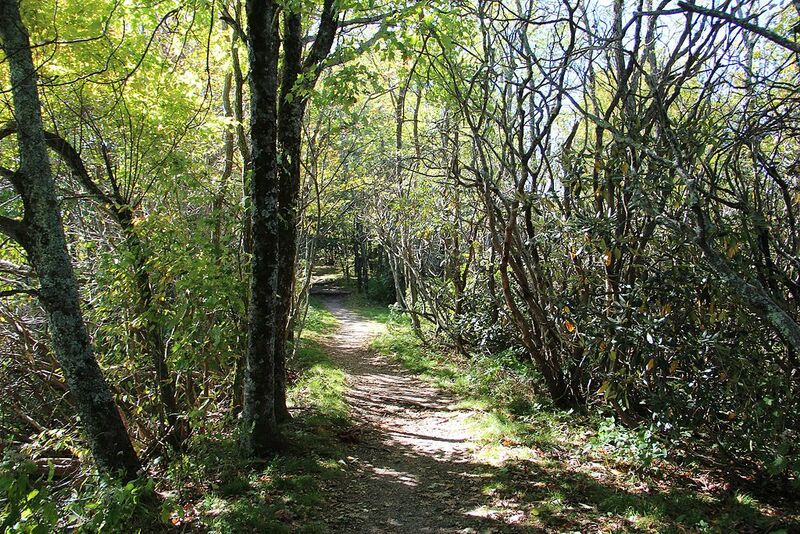 Ridge Parkway Segment NC Follows Blue Ridge Parkway in NC then across Great Smoky Mountains National Park to Tennessee line. 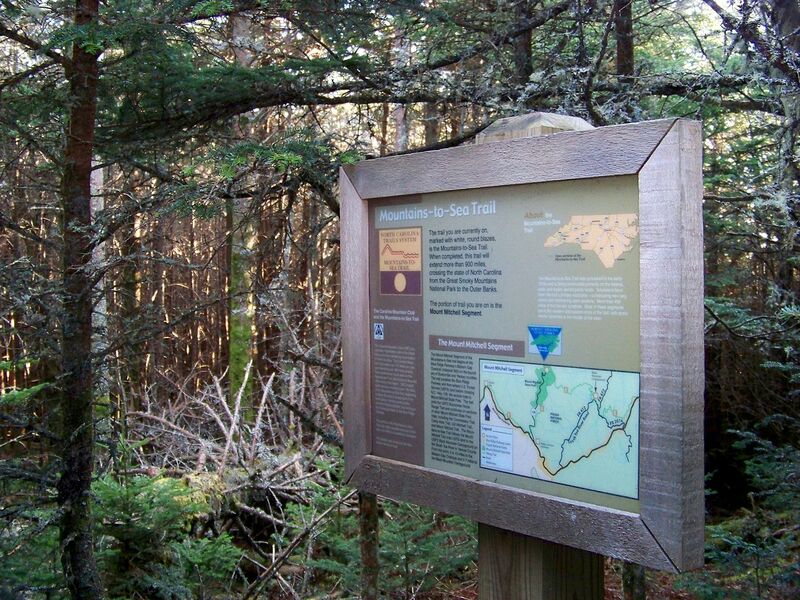 The Falls Lake section of the MST was constructed by volunteers in the early 1980s for a total of 26 miles of natural surface hiking along the south shore of Falls Lake. 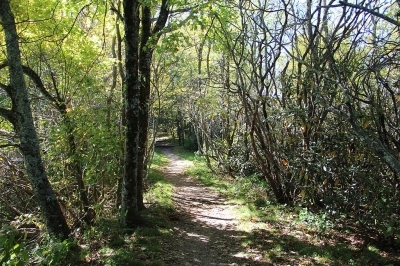 The land agencies along this section include the Army Corps of Engineers, NC Wildlife, NC State Parks and Recreation, and Wake County at Blue Jay Point- Due to the area being a metropolitan area the Falls Lake trail offers a unique hiking experience on natural surface and reminds hikers of a southern Appalachian experience. The Friends of the Mountains to Sea Trail (FMST) - Falls Lake Task Forces oversee the maintenance of this section of the MST. 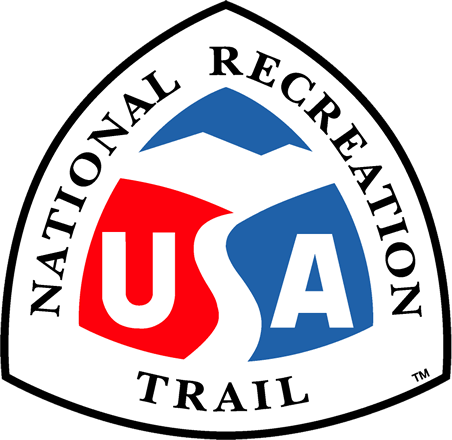 In May of 2004 a Memorandum of Agreement (MOA) was singed to outline how each land agency and volunteers will work together to oversee the maintenance of the trail. See enclosed MOA document and trail map. 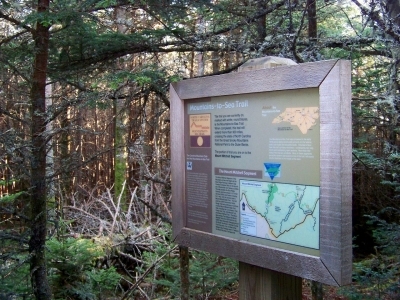 Mountains-to-Sea Trail Sign. Photo by Idawriter wiki. Mountains-to-Sea Trail. Photo by Thomson M wiki.